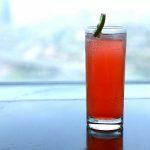 In this recipe, I will show you how to make strawberry soda recipe. 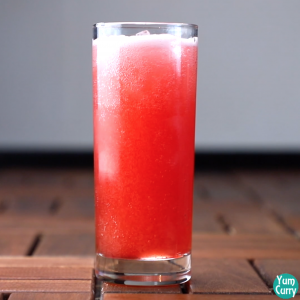 Strawberry soda is a very refreshing summer drink and it’s quite easy to make. 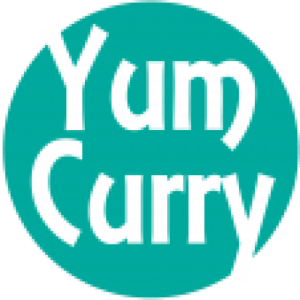 You can also make this in bulk and store it in the refrigerator for 2-3 weeks. 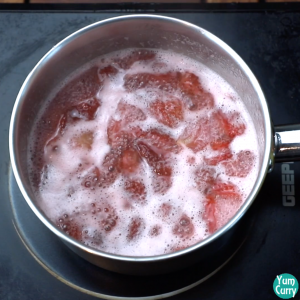 The strawberries in this recipe give very nice flavor. You can use any berries of your choice like blueberries, blackberries or raspberries. 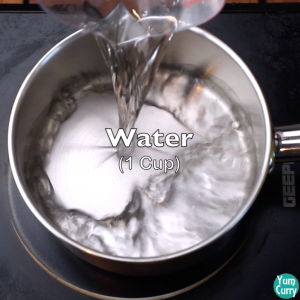 I have used soda water in this recipe. But if you don’t like soda you can replace it with normal water. Also adding a lemon slice while serving gives it more refreshing flavour. 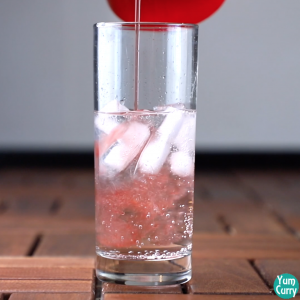 The strawberry soda is also called strawberry fountain. 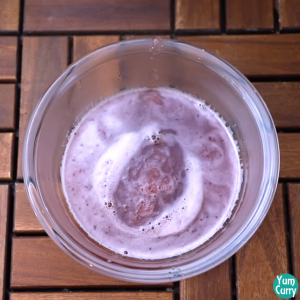 This recipe provides an easy way to make strawberry soda at home. 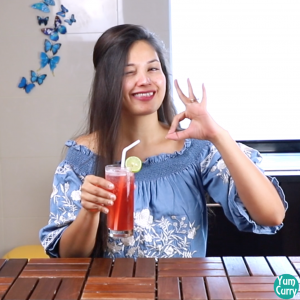 Try this refreshing summer drink recipe at home and let me know how you liked it in the comment section below. Enjoy! Add sugar, water and chopped strawberries in a pan. 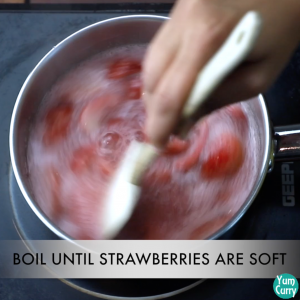 Boil it until strawberries becomes very soft. When done strain it through a strainer. And press the strawberries to take out all the juice from it. 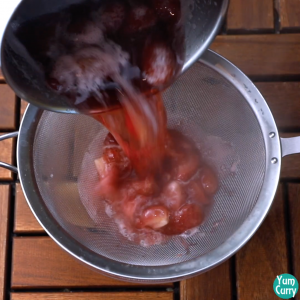 Discard the strawberries and let the strained liquid cool completely. 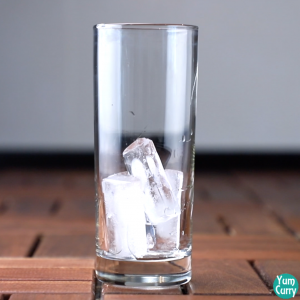 Add some ice cubes in a serving glass. Now add the strawberry syrup to it. Serve chilled. 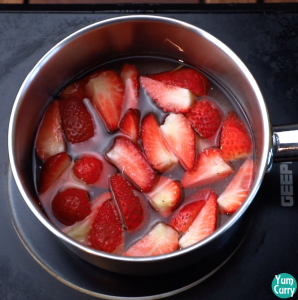 Add water, sugar and roughly chopped strawberries to a pan. 2. Boil it until strawberries becomes very soft. Stir occasionally. 3. 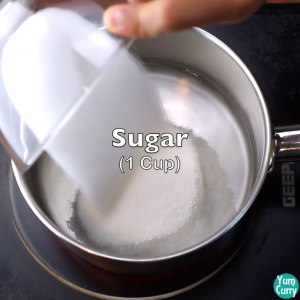 Turn off the heat and strain the syrup through a strainer. 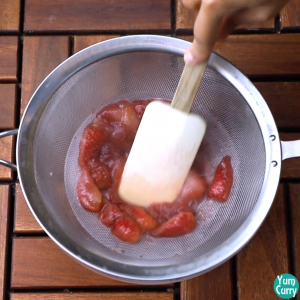 Press the strawberries to take out all the syrup from it. 4. Discard the remaining strawberries. Let the syrup cool completely. 5. Now take a serving glass and add ice cubes to it. 6. 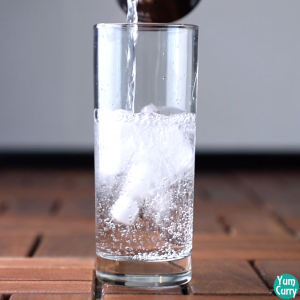 Add chilled soda water till 2/3 of the glass. You can fill till 3/4 as well if you don’t like very sweet. 7. 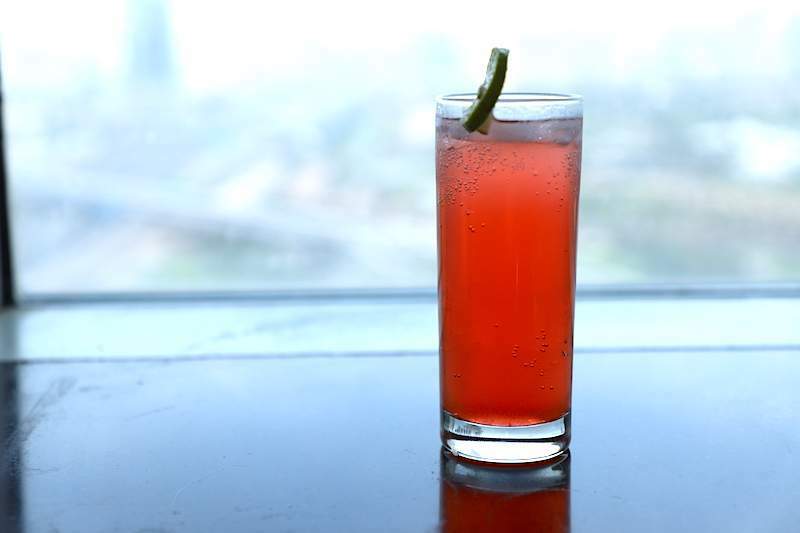 Add the strawberry syrup to fill the glass. Serve chilled.